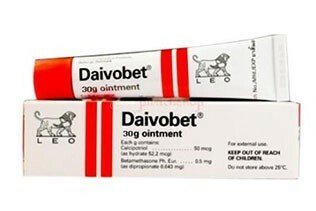 Dovobet is used to treat psoriasis on the skin. It contains calcipotriol which brings the skin cell growth rate back to normal. It also contains betamethasone, an ingredient that reduces inflammation. Effect: brings growth of skin cells back to normal and reduces inflammation. How to use: squeeze ointment onto clean finger, and gently rub into the affected skin.